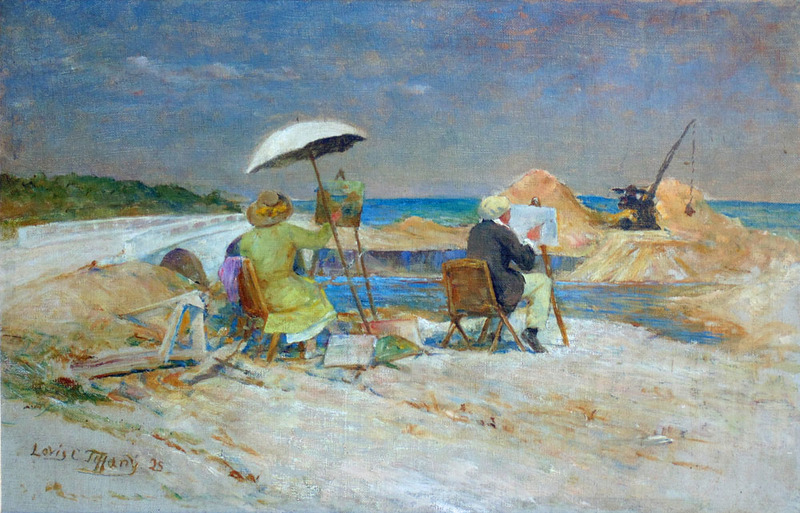 Painting on the Beach (1925), by Louis Comfort Tiffany, part of the Imagining Florida exhibit at the Boca Raton Museum of Art from Nov. 13-March 24. After an unusually hot summer, the cooler temps and invigorating new art season are more than welcome. The art offerings are heavy on photographs and Florida history with glamour shots in the spotlight at the Flagler Museum, and Sunshine State history at the Boca Raton Museum. Former President Bush makes a Florida art show bow with portraits of the military, while Florida natives Purvis Young and Edouard Duval-Carrié get some well-deserved wall space. Norton Museum of Art: Although the West Palm Beach museum will be closed to complete its transformative expansion project until next year, Norton activities and programs will continue at Grandview Public Market, the new gourmet food hall in the city, with a space called The Living Room that exhibits art and will host a series of talks from the Norton curators with previews of the galleries and exhibitions opening in February 2019. Talk highlights include: Light and Shadow, from Rubens to Flavin (Oct. 11); Modern and Contemporary Collection and Education Programs (Oct. 17); Traveling Artists, Tropical Landscapes (Nov. 8); American and Photography Collections (Dec. 12); Olafur Eliasson: Envisioning Spectacles (Dec. 13). When the Norton does reopen Feb. 9, it will be with a spectacular cross-spectrum lineup of art and events. The new entrance has been moved to face Dixie Highway, with the stately 80-year old banyan tree preserved next to a kooky pop art sculpture by Claes Oldenburg of an eraser on a wheel called Typewriter Eraser, Scale X, suspended on a reflecting pool. The fun piece is fitting, as the Norton has erased its old footprint and is unveiling the huge new one (Typewriter Eraser is on display through June 4). More site-specific new art awaits inside as artist Pae White is constructing a piece for the new Great Hall. Glass artist Rob Wynne, who hand-pours glass into shapes and letters has a new work on the three-story stairway that builds upon a Wynne piece, I Remember Ceramic Castles, Mermaids & Japanese Bridges, he did for the Norton in 2012. Some short films by video artist Gregory Scott will be screening in the new Leonard and Evelyn Lauder Restaurant. Good Fortune to All: A Chinese Lantern Festival in 16th-Century Nanjing (through June 4) presents a rarely seen exhibit of six paintings from the late 16th century of the Lantern Festival in China, while Out of the Box: Camera-less Photography, with works by surrealist Man Ray and photographers including Robert Heinecken, Ellen Carey, Walead Beshty and Adam Fuss, explores how “photos” can be made without a camera (through June 16). 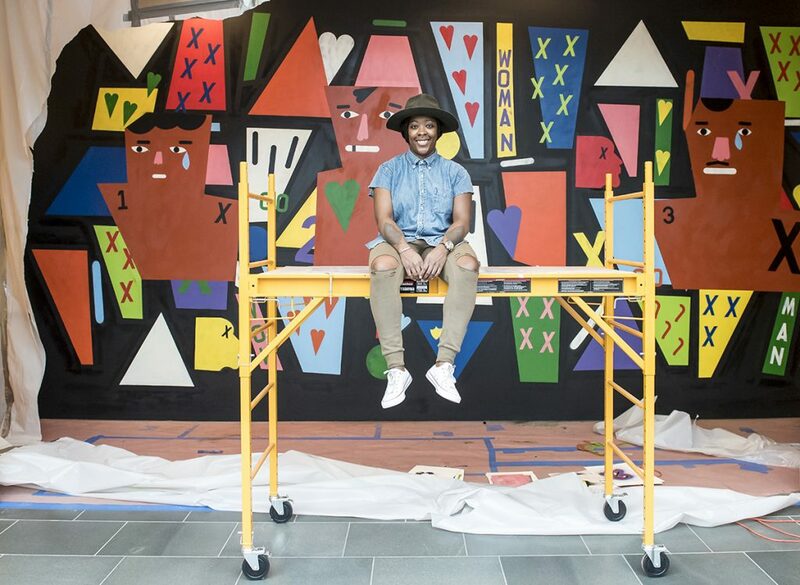 The museum’s important RAW (Recognition of Art by Women) series returns with a focus on the young American painter Nina Chanel Abney, whose bold, graphic work creates narratives about race and inequality (through June 25). Meanwhile, the namesake and founder of the museum, Ralph Norton, is remembered in Modern Spontaneity: Ralph Norton’s Watercolors (through May 7), which presents 15 watercolors from Norton’s own collection, including artists such as Winslow Homer and Fernand Léger. The Norton’s regular Spotlight exhibit this season will be Ralston Crawford: Across Media, featuring two paintings and three photos by the American painter and photographer (through May 14). Finally, the Norton’s new Salzman Gallery, which is devoted to photography, will offer Who? : A Brief History of Photography Through Portraiture, with 60 photos that trace the medium’s history from its emergence in the mid-19th century to contemporary work (through May). 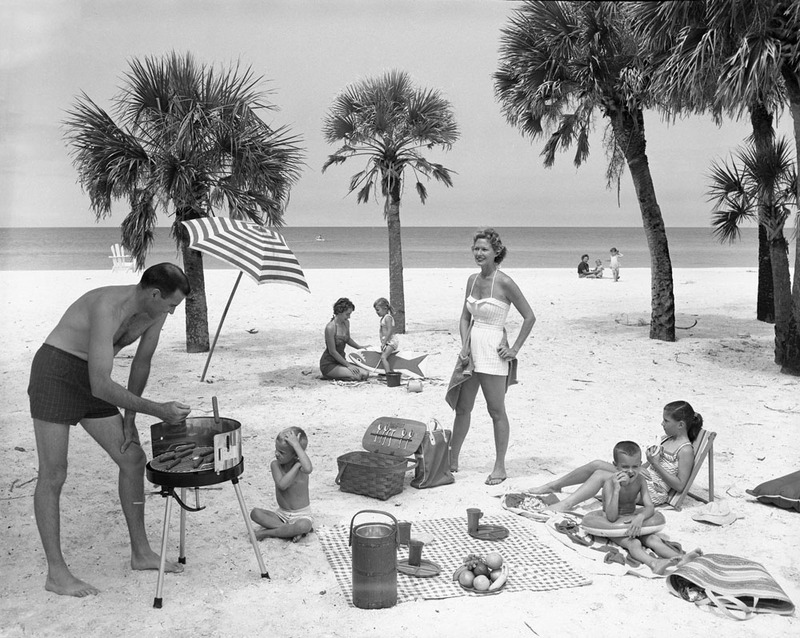 Swain Family Having a Picnic Near the Colony Beach Club on Longboat Key, Florida (1958), by Joseph Janney Steinmetz. Flagler Museum: The Gilded Age will soon be the subject of a new TV series, but if you can’t wait for the premiere, Henry Flagler’s 1902 Whitehall mansion has been an excellent place to get an informal graduate education in the lifestyle and the arts of that complicated era. The first of the Flagler’s two seasonal art exhibits takes a close look at one of the great photographers of the early 20th century in Star Power: Edward Steichen’s Glamour Photography. This is an exhibition of 74 style-drenched portraits of celebrities and fashion models from the Jazz Age of the 1920s and 30s, such as Coco Chanel and Elsa Schiaparelli, Greta Garbo, Marlene Dietrich, George Gershwin and even Walt Disney. 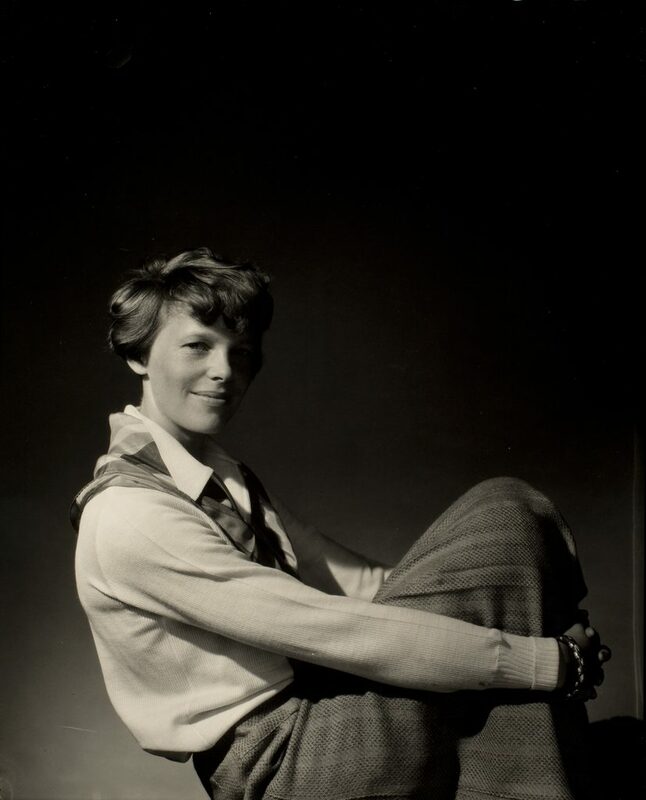 Steichen (1879-1973) was prolific, influential, and controversial in his role as chief photographer for Vogue and Vanity Fair. The brightest names of literature, journalism, dance, sport, politics, theater, and film were shot in glam trappings of that became the genesis of high-style portraiture. (Oct. 16-Jan. 6). Morikami Museum: Like the Flagler, the Morikami Museum and Japanese Gardens west of Delray Beach is a specialist institution, and over the decades has offered numerous illuminating shows highlighting the visual arts of Japan. 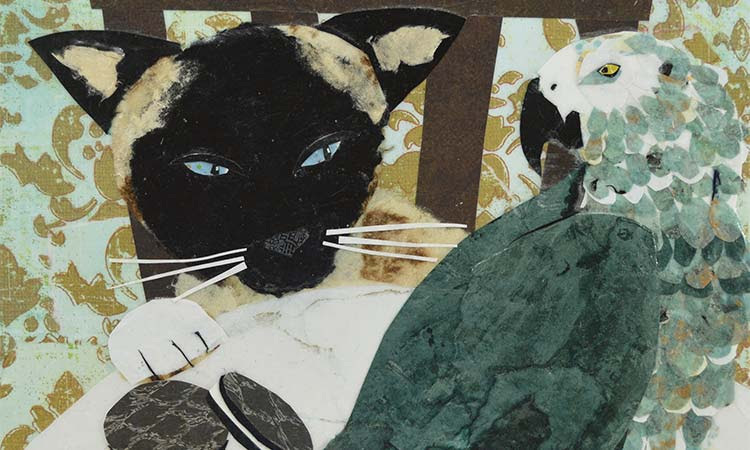 The work of Sakaya Ganz will be on view at the Morikami from Feb. 16 to March 31. Hard Bodies: Contemporary Japanese Lacquer Sculpture (opened Sept. 29, runs through March 31) gives the ancient craft of lacquer art a new perspective. Artisans in East Asia have always been drawn to the allure of the shiny surface, coating bowls, cups, boxes, and baskets with the sap of Rhus verniciflua, the lacquer tree. Since the late 1980s, a new group of lacquer artists have glossed over the medium and brushed it in entirely new and dynamic directions such as creating large-scale sculptures. Kofushiwaki Tsukasa’s Fallen Moon I is 13 feet long, a scale made possible by the kanshitsu technique, in which a base of lacquer-saturated hemp fiber is created with a mold. Others use polystyrene, a lightweight, flexible material, as demonstrated in Aoki Chie’s Body 09-1. For The Dual Sun, Kurimoto Natsuki used an even more modern base: an automobile hood. 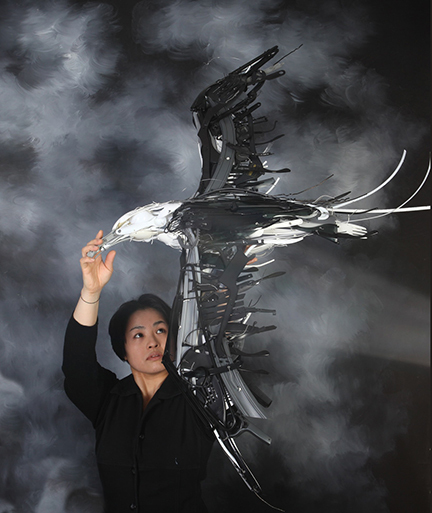 The inventive sculptures of Sayaka Ganz, a Yokohama-born sculptor who now lives in Indiana, take reclaimed plastic objects such as discarded utensils and turn them into objects of upcycled wonder. She describes her style as “3-D impressionism.” Sculptures in the exhibition include recent installations of animals in motion like seagulls that stream in the wind. Sayaka Ganz: Reclaimed Creations runs from Feb. 16 to March 31. Food Fight, by Wendy Boucher. Cultural Council of Palm Beach County: Just take a look at how many cooking channels and star chefs there are these days, and you can draw only one conclusion: Food is hot. In the Cultural Council’s opening exhibit, Play With Your Food!, 21 artists are encouraged to do just that, and create works of art in all media. Cultural Council art shows are accompanied by smaller shows devoted to solo exhibitions. Getting the spotlight this year are Dorotha Lemeh and Nelson Babilonia (Nov. 10-Dec. 8); Ben Georgia (Dec. 15-Jan. 12); Dina Baker (Jan. 19-Feb. 16); Philip Butera and Kathryn Carlyle, and Joan Eiley (Feb. 23-March 23); Janet Rogers and Shannon Torrence (March 30-April 27). Also getting a show from May 4 through June 1 will be the winner of this year’s grant from the Dina Baker Fund for Mature Artists. 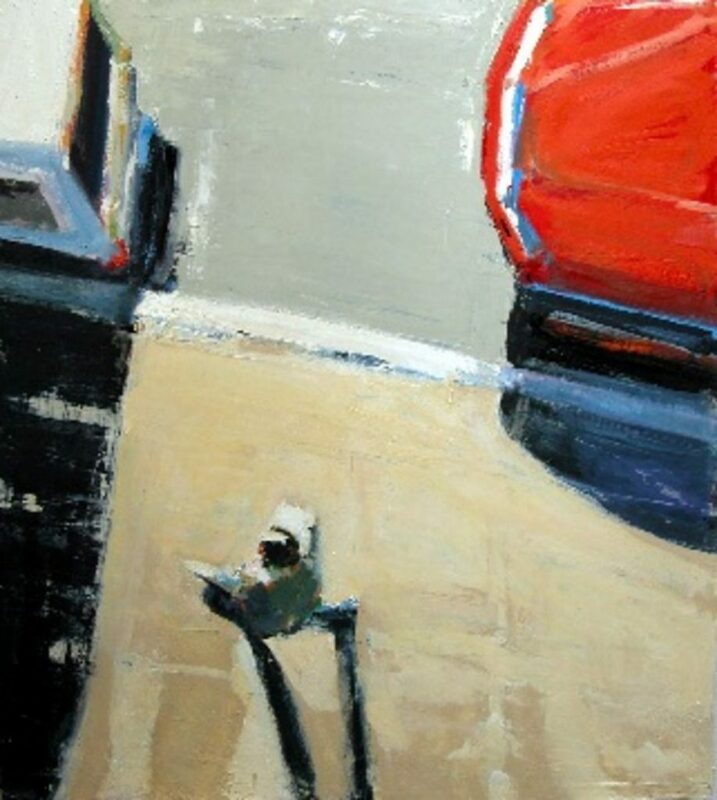 Walker (2009), by David Kapp. Ann Norton Sculpture Gardens: The home of Ann Norton, an artist who also was the wife of the Norton Museum founder, has been offering a wider range of indoor exhibits in recent years at its beautiful site in West Palm Beach. First up is David Kapp: Crossing the Grid, open now and running through Dec. 9. New Yorker Kapp paints street scenes and contemporary urban landscapes. Like Edward Hopper on speed, his impressionist style captures a certain city bustle, where movement is constant and the light filters between skyscrapers. The island of Murano in Venice is the world center of decorative glass, and Murano Mosaic: Persistence and Evolution, showcases 20 pieces from the best of the best in styles that show the range and beauty of this sand-and-heat-derived fine art. (Dec. 19-Feb. 3). Another date to note for the Gardens this year is Dec. 14, when the 97-year-old designer Iris Apfel will be the focus of An Evening with Iris Apfel: Celebrating a Geriatric Starlet. A visionary fashion exotic bird whose oversize glasses and giant jewelry have become her trademark, her work was memorably featured in 2005 at the Costume Institute of New York’s Metropolitan Museum, which staged Rara Avis, a blockbuster exhibition of her clothing and accessories. Cornell Art Museum: Not to be confused with the similarly named museum at Rollins College in Winter Park, this Cornell is part of the Old School Square arts complex in Delray Beach and has just been renovated. Freedom Horse Roundup (1990), by Purvis Young. The Lighthouse Art Center: The gallery and school in Tequesta also has increased the breadth and depth of its exhibitions recently, and its major fall show, Art of the Figure, examines the work of three native Floridians, Sam Perry, Terre Rybovich and Purvis Young. The three artists translate their individual life experiences using only pencils and paint on paper and canvas, or in the case of Purvis Young, anything he could get his hands on. The most celebrated of these is Young, born in Miami’s Liberty City neighborhood. He has become a major figure in the world of outsider art; his work may be found in the collections of the American Folk Art Museum, the Corcoran Gallery of Art, the High Museum of Art, the National Museum of African American History and Culture and more. Young painted and drew on the detritus of the day – found wood, discarded cardboard, doors, old utility bills, and printed pages from books. Three artists were chosen for the 9-month residency program at the Armory – Derek Decker in ceramics, Nicholas Kakavas in sculpture, and Richard Santiago in painting and drawing. Their residency work will be featured in a show from Feb. 21 to March 9. 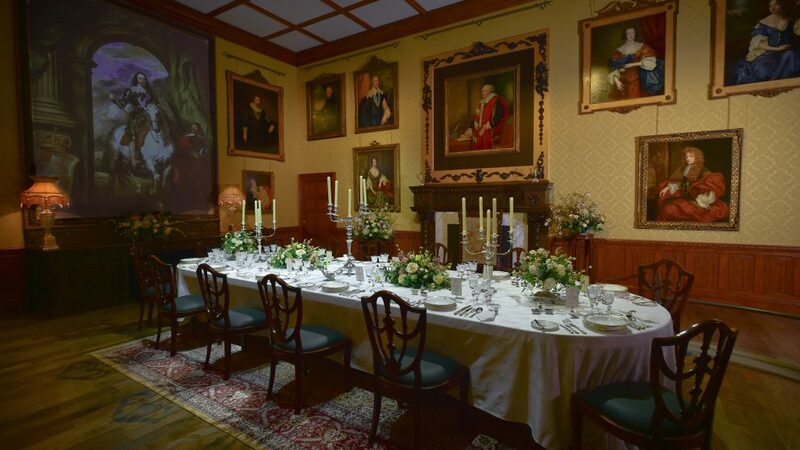 The Downton Abbey exhibition includes the Crawley family’s dining room. Art fairs: With two major art fairs now, it only makes the Palm Beach County art scene more rewarding for art lovers. The Box Gallery: Rolando Chang Barrero is a one-man art change agent who has worked diligently since coming north from Miami a few years back to build an organic art scene in the county, first at his complex on Industrial Avenue in Boynton Beach and now at his gallery on Belvedere Road in West Palm Beach. Chang Barrero has a few shows lined up for the season with more being added soon. First up for the season is Commentaries: The Art of Text and American Culture (Now through Oct. 30), which explores wordplay in contemporary culture. 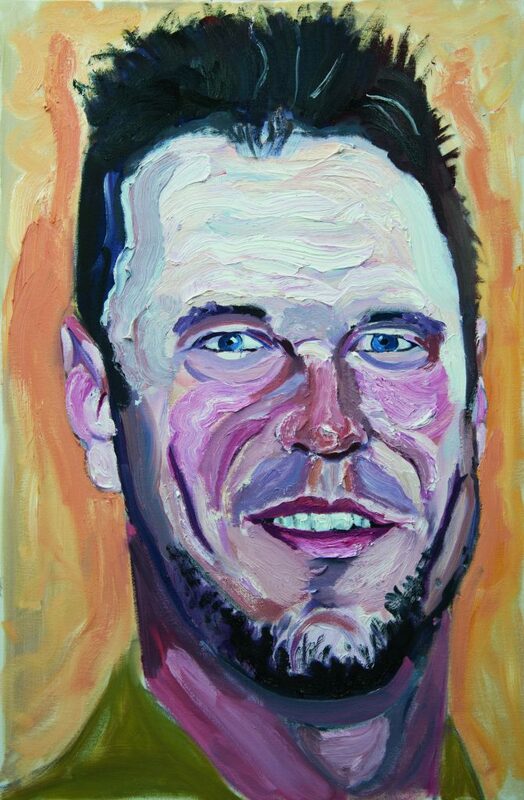 And artist Skip Hartzell is featured in Dogs Are Always in the Moment (Feb. 9-March 9). These inventive depictions of man’s best friend make up a feel-good exhibition where the love of dogs in unlimited configurations are joined in his paintings, works on paper and four-legged sculptures. “Although I love dogs, my art is about much more, it is about form, movement and mostly about the painterly expression and texture of the surface,” Hartzell says.